Plant a tree in memory of J. D.
Be the first to share your favorite memory, photo or story of J. D.. This memorial page is dedicated for family, friends and future generations to celebrate the life of their loved one. Mr. J.D. 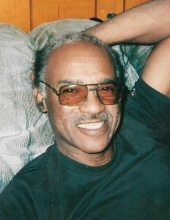 Bacon, 75, of Chase City, VA entered eternal rest Wednesday, January 16, 2019 at his residence. Mr. Bacon was born in Mecklenburg County, VA November 9, 1943 to the late Drewrey and Louise G. Bacon. He was a 1962 graduate of West End High School, Skipwith, VA, and a veteran of the U.S. Army having served as a member of the 82nd Airborne. Mr. Bacon previously served as a member of the Chase City Rescue Squad, a Mecklenburg County School Bus Driver, and service man for Continental Telephone Company. He was also a member of The Gospel Tones singing group. Mr. Bacon was a retiree of the Mecklenburg Correctional Center, where he also was a member of the Honor Guard. In addition to his parents, Mr. Bacon was preceded in death by his daughter, Felicia N. Bacon; a sister, Louise B. Harris; a brother, Joe Lewis Bacon; a nephew raised as a brother, Billy Wayne Bacon; sister-in-law, Mabel Bacon and four brothers-in-law. Left to cherish his memories are his wife, Patricia J. Bacon of Chase City, VA; two daughters, Elaine Drummond (Michael) of Meredithville, VA and Cecelia Gregory of Chase City, VA; three granddaughters, one great-granddaughter; four brothers, Thomas Bacon (Anna Lee), Woodrow Bacon, Charlie Ellis Bacon (Isabella) all of Chase City, VA and Roger Bacon (Joyce) of Randallstown, MD; three sisters, Irene Thompson of Hillside, NJ, Anna Geneva Lea and Maggie Wallicia Crutchfield of Chase City, VA; mother and father-in-law, Mr. and Mrs. James Lee Jones; two sisters-in-law, and a vast number of other loving relatives and caring friends. Funeral services for Mr. J. D. Bacon will be conducted 2:00 PM Saturday, January 19, 2019 at the chapel of Giles-Harris Funeral Home, Chase City, VA with Mrs. LaDonna E. Bacon delivering the eulogy and Rev. Linda Goode assisting. Burial will follow in Ivy Hill Cemetery, Chase City, VA. Public viewing for family and friends will be held on Friday from 11:00 AM until 7:00 PM. To plant a tree in memory of J. D. Bacon, please visit our Tribute Store. "Email Address" would like to share the life celebration of J. D. Bacon. Click on the "link" to go to share a favorite memory or leave a condolence message for the family.